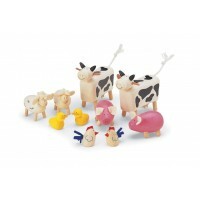 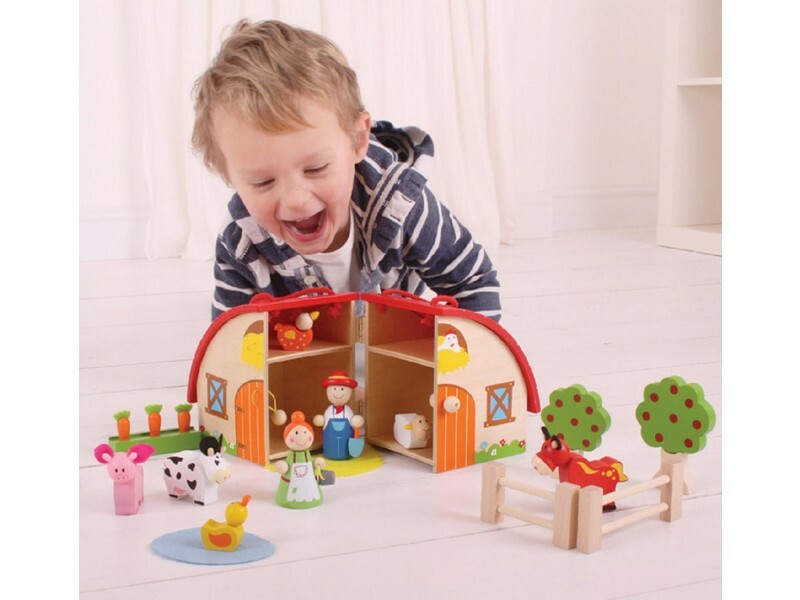 This colourful all wooden Mini Farm Playset brought to you by BigJigs consists of 16 play pieces, each brightly painted to suit what they are. 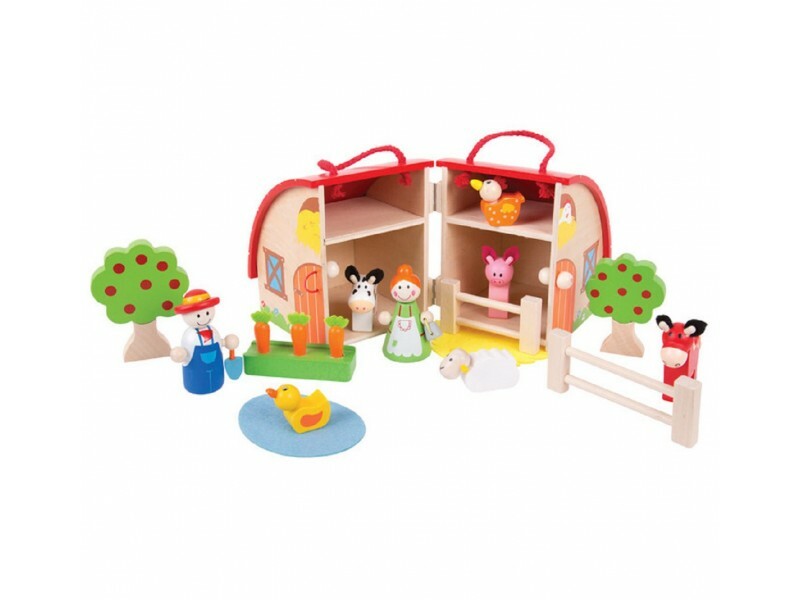 There is a farmer and his wife, a hen, a sheep, a cow, a pig, a horse, a duck on a pond, carrots in the ground, 2 fences, and 2 trees all to go with the opening farm playset. 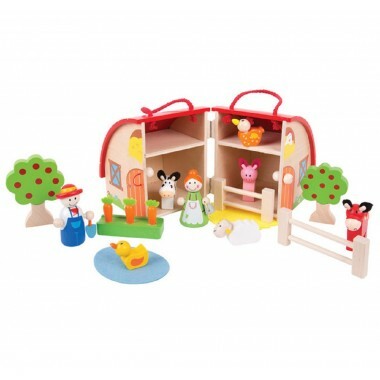 When your child is done horsing around on the farm simply have them put all the pieces back in the barn and close it up. 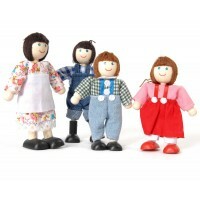 With the handle on top your child can also take it with them wherever they go. 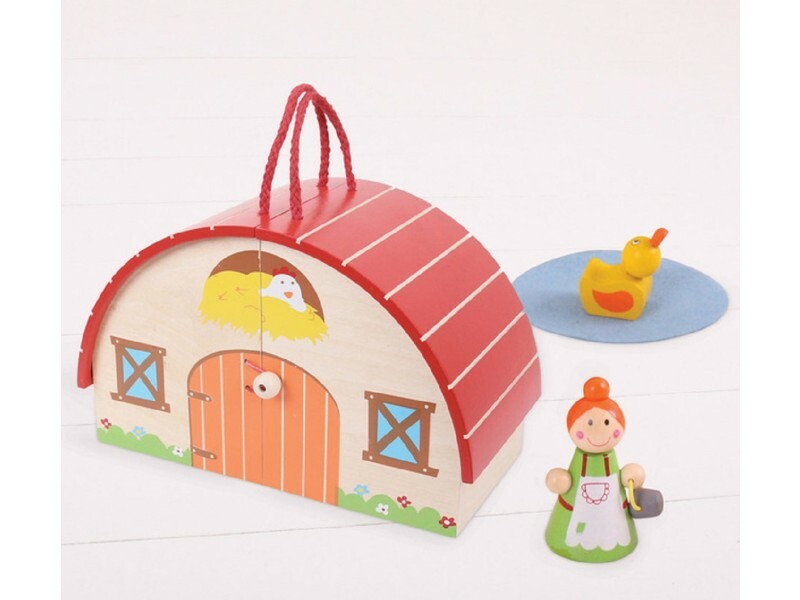 Well made wooden toy that packs away and child likes to play with.